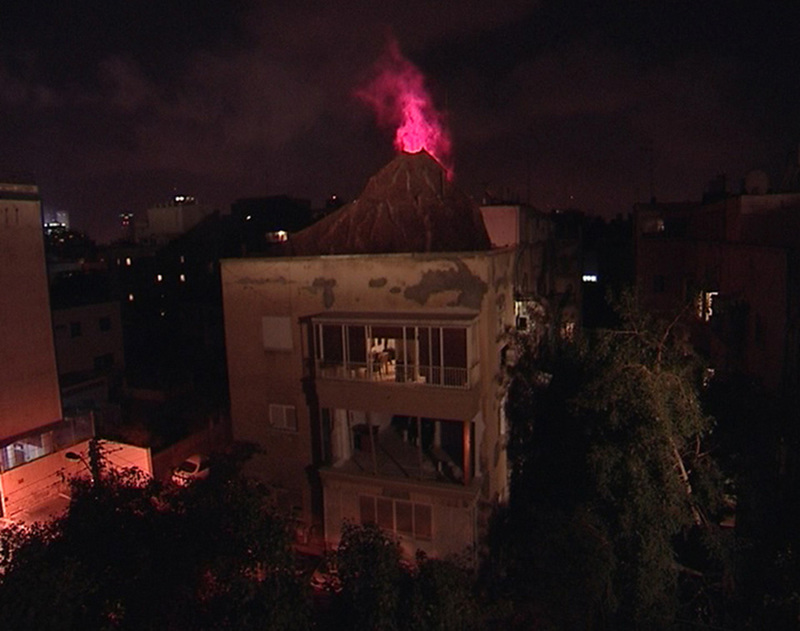 Volcano Demo elevates a volcano to the roof of a residential building in Tel-Aviv. The volcano was two-dimensional, and was made out of papier mache over the course of a month. 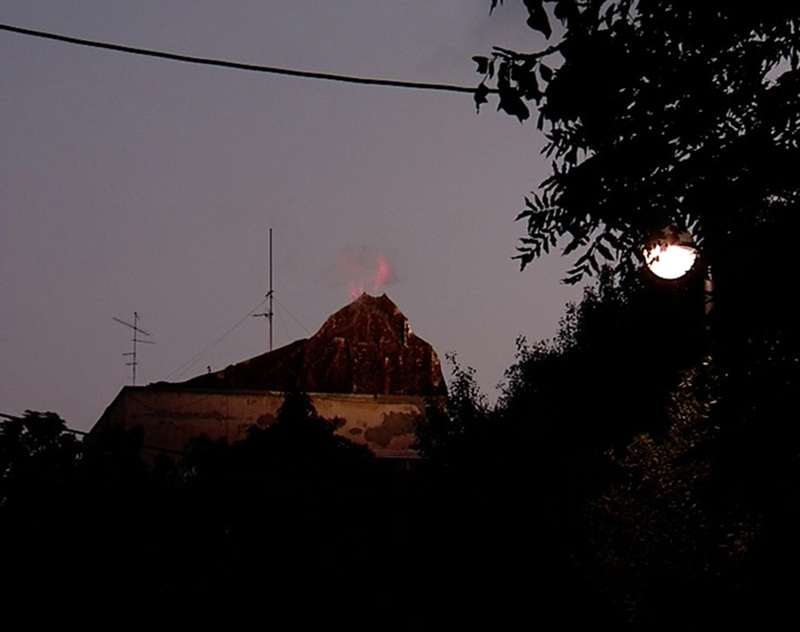 As day shifted to night, the cast of eighteen stage workers caused the volcano to erupt, while staying hidden behind the scenes. The fixed framing that has no movement, and the length of each shot emphasizes the relationship to still photography, and in it, to the decisive moment- the moment of eruption, the stretched second before the lava melts the building, and the last moment before the demolition occurs. But the video doesn’t show the destruction of the building. Instead, it is looped to emphasize that the volcano is in a continuous state of eruption. Much like the way catastrophes in cartoons cannot harm the coyote, the volcano cannot destroy the inhabitants of the building. As a reference to the theatre world the illusion in Volcano Demo operates on two levels. On one level, it is a surprise performance for unassuming bystanders watching an illusion, while seeing the people behind the scene who bring it to life. Walking on the street the day Volcano Demo was shot, one could have seen a different spectacle than the one in the video. The neighbors, the camera, the two dimensionality of the mountain, the presence of the stage workers, were all part of that one day performance. 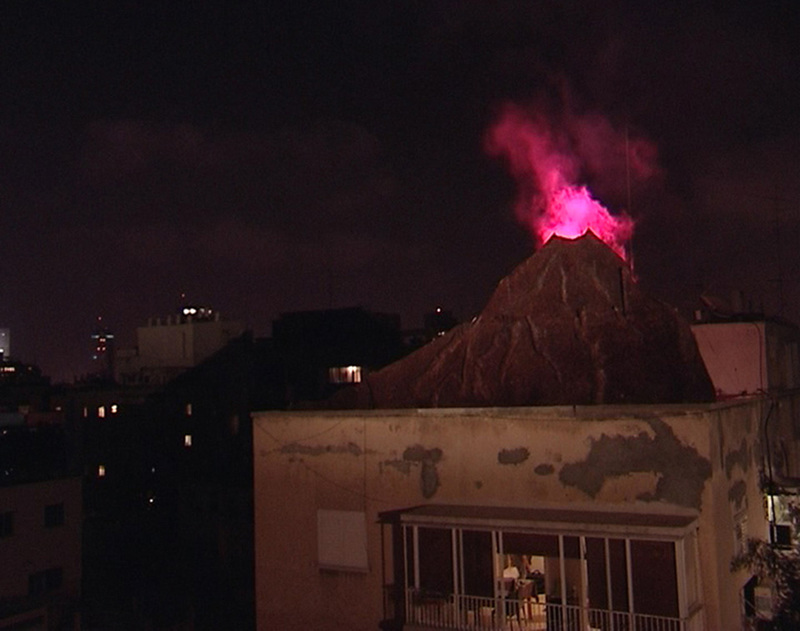 On another level, different than the performance, the video focuses our gaze on the image of a volcano on top of a building in the different stages of eruption. 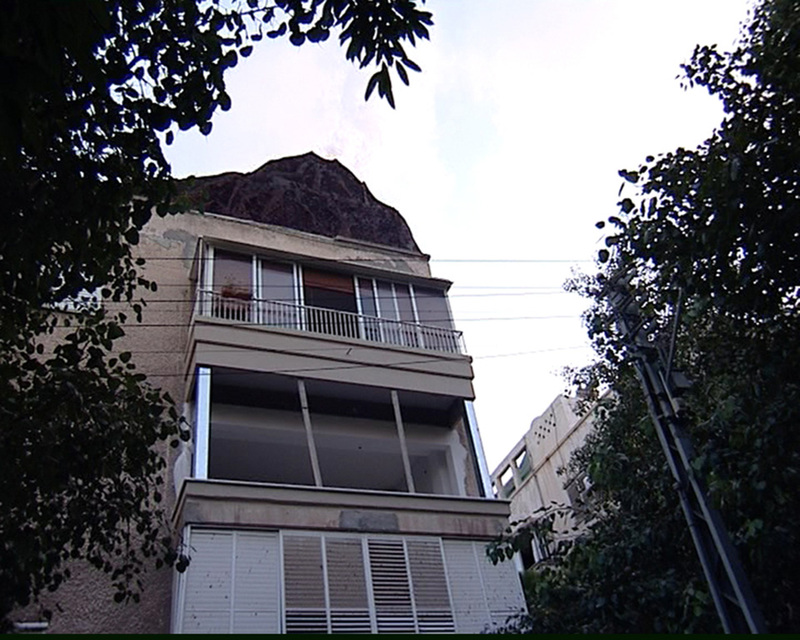 It is a video piece that depicts a natural phenomenon. Its man driven manipulation is left unseen, as the stage workers, the neighbors and all bystanders are not a part of the video piece. The video puts forth the notion of a single artist, who puppeteers the illusion.